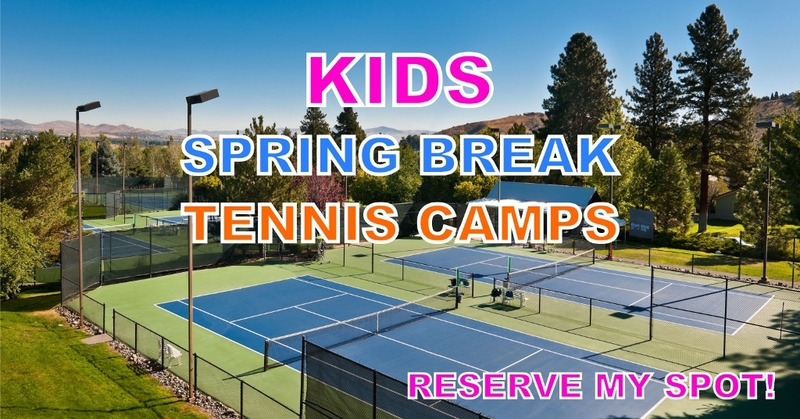 Spring Tennis Camp & Group Classes for Kids - Reno, NV - Beginners Welcome! C aughlin Club in Reno, Nevada is hosting two weeks of junior and little tennis camp this spring. Caughlin Club Tennis Camp offers top notch tennis training, a pristine tennis environment, and fun for players, ages 3-17, of all skill levels. Caughlin Club provides the ultimate week long tennis camp for kids who want to learn how to play tennis. Focused on top notch tennis training and fun, Caughlin Club’s head tennis pro, Randy Reynolds, directs these tennis camp sessions. These youth spring break camp sessions are a great way to improve your game in a short period of time, providing players with a chance to play tennis up to 3 hours a day, make new friends, and enjoy the pristine environment on and off the court. Youth tennis camps at Caughlin Club are all about developing athletes while having fun! Our little tennis camp was introduced to help kids take a love for the game at a young age. Kids are able to learn quickly and have fun through the use of smaller courts, properly fitted racquets, and specialized tennis balls. For additional camp information and dates call us at 775-240-6505 we would be happy to help you.